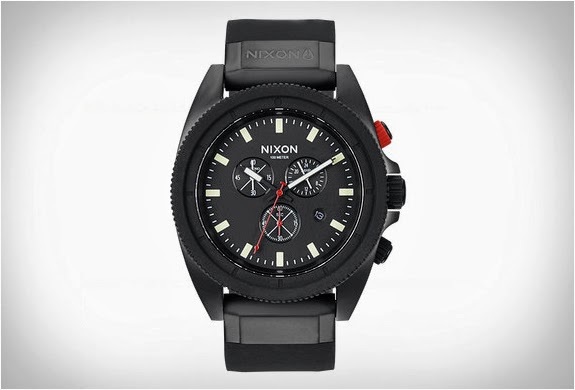 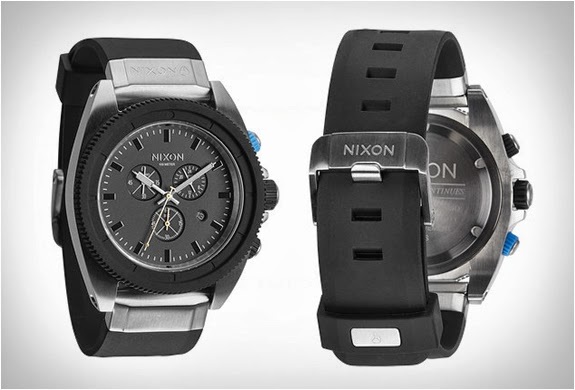 The Rover Chrono is included in Nixon´s 2014 spring/summer release. 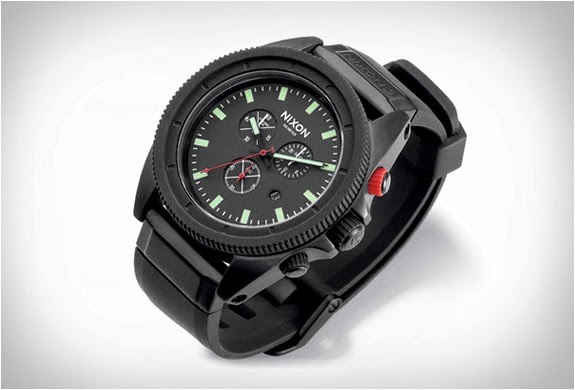 The new chronograph model has a simplified sleek design and features, a robust silicone wristband, and a 44mm stainless steel case with a hardened mineral crystal face so no need to worry about scratches. 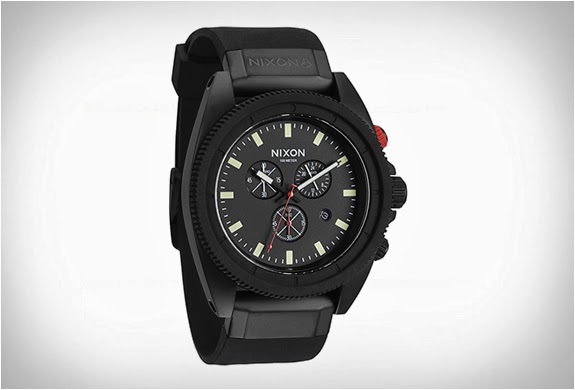 It is powered by a Miyota Japanese quartz 6 hand chronograph and is water resistant up to 100 meters. 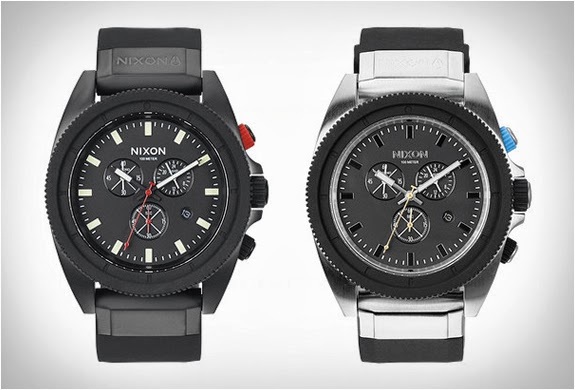 Available now in two colorways, black/red and Midnight GT, both are accented by contrasting second hand and screw pin lugs.